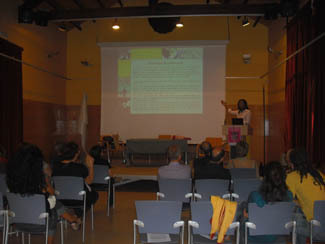 The Chamber L'Escorxador in Begues (Barcelona) today has been the scene of the meeting held with technical and professional areas of cooperation between municipalities Aiguafreda Barcelona, L'Ametlla del Vallès and Begues own, all contributors to the financing of part of the education projects implemented by the Foundation. This meeting is part of the celebration of World Teachers' Day, which falls on October 5. Also present in Begues Jesper Wohlert and Elisabeth Molnar, general coordinator and manager director, respectively, from Humana. The purpose is to promote exchange of experiences and information about the importance of education in the field of development cooperation. Therefore, the meeting attended Adelfa da Alva, one of the teachers in one of 11 Schools of the Future Teachers (EPF) that ADPP Mozambique, Humana's local partner in this country, currently manages. The EPF working for the training of primary school teachers in order to achieve real progress in educating children in rural areas. 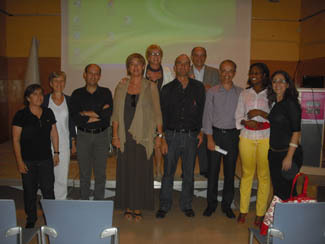 Also attend one of the technicians of the Department of Human Project, responsible for coordinating the program.